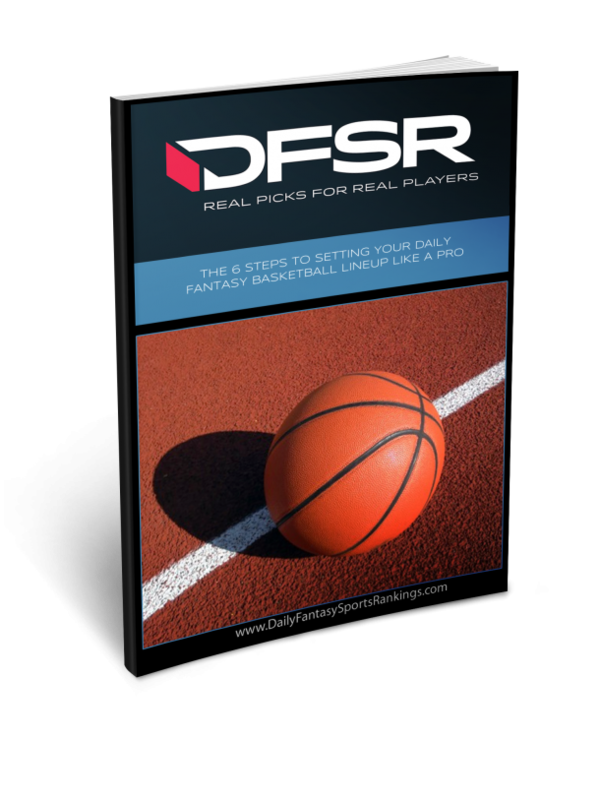 Friday in hoops' action has plenty of ways to take your lineups. And by plenty of ways, I mean play a lot of Timberwolves and a couple of Pistons. Let's take a look at some of the cash game values and situations we are monitoring for into a full slate of Friday night NBA action on FanDuel and DraftKings. Well, this one is an easy one and it likely only gets a little more difficult from here. Jeff Teague has already been ruled out and we’ve seen the Minny plan for Rose in the starting role. He’s played 37 and 35 minutes in each of the last two games (both losses) and last game against the Lakers put up 31 points, five assists, and two rebounds. He went an insane (for him especially, but really for anyone) 7-9 from three that he isn’t likely to recreate going forward. But the price only ticks up some on both sites and he’ll draw the Kings who are playing the second-fastest pace in the league this season and a bottom-third defensive efficiency. We likely see Rose a chalk play again on both sites. This games opens at a 225 over/under with the Sixers -5 home favorites. I know much has been made of Kemba’s home/ road splits, but this is still a spot I like him in, especially at his FanDuel price. He got up 31 shots in 35 minutes the last time these two teams played and finished with 37 points, six rebounds and six assists. He also got to the line 15 times in that game. He continues to maintain one of the highest usage rates in the league and the scoring has come from a shift toward driving to the hoop more and concentrating more on bombing from three. 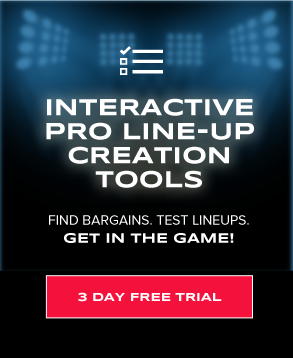 Again, he’s a little expensive on DraftKings, but FanDuel is worth a look. If Goran Dragic sat out again, Tyler Johnson would be in play even coming off the bench. The latter rolled 32 minutes last game and we already know Dwyane Wade is ruled out. There's also a case to pay up for John Wall playing the Magic. Jimmy Butler, AKA General Soreness, hasn’t looked quite himself over the last couple of games. Despite playing 39 and 43 minutes against the Clippers and Lakers, he averaged only 22 points, five rebounds and five assists in those two. That’s well, well below what we’ve come to expect from the guy and he could still be dealing with injury issues here. But this is such a fantastic spot and his price has barely moved because of the short-term performance issues. I think the matchup against the Kings breaks him out of the morass, though there’s (I suppose) some concern about this being his third game in six nights. Ellington drew something of a surprise start on Wednesday considering he’d barely been playing over the short term and promptly ran 37 minutes. Dude went 7-13 from the field, 6-10 from beyond the arc and even chipped in four rebounds. With Dragic questionable and Wade and Derrick Jones listed out, the Heat are coming up very short on shooting guard/ wing options. Ellington should be in line for major minutes again especially considering he’s coming off such a strong starting performance against the Spurs. Shooting guard is pretty weak across the board for Friday and it’s nice that at least some PGs are multi-position eligible on DraftKings. After these two plays on FanDuel, there isn’t a lot to like. I suppose you can consider JJ Redick and hope he catches fire from three. I also think Gary Harris is a value on DraftKings against the Nets. How many Timberwolves is too many? We might found out on Friday. This isn’t the end of the Minny list by any stretch of the imagination. Wiggins is priced firmly in the middle tier and over his last five games is averaging 36 minutes and an 18 point, four rebound, two assist line with a fair amount of steals and blocks thrown in there. I like that he’s getting up more than six three-pointers a game and there is definitely usage to go spread around a little (not much considering D-Rose is there) with Jeff Teague off the court. One of the biggest safety nets with the Minnesota starting lineup is their respective minutes’ floors are basically the best in all of basketball. That’s what you get with Thibs as your coach and Wiggins could once again run in the high 30’s. It’s not exactly clear how things will shake out for the Heat on Friday, but I think it’s relatively safe to lock Winslow in for solid minutes almost regardless of whether Dragic is back or not. He drew the start on Wednesday against the Spurs, playing a hybrid wing/ point guard role without Dragic and finished with 31 minutes and a 16 point, five rebound, three assist line. The Heat have been more than willing to play him minutes off the bench as well and he should see an uptick with no Wade / Jones as well. I think at these price points and with his versatility, Winslow makes for a very safe cash game play even if Dragic were to suit up. I think you can also consider Josh Richardson at SF as well if Dragic is out. He’s getting expensive but did take 22 shots in 38 minutes last game. Even with Taurean Prince returning for the Hawks on Wednesday, Bembry drew the start for Atlanta and played 33 minutes. With Kevin Huerter coming back on Friday, I suppose we could still see the starting lineup shake up, and this is still the Hawks were are talking about. But if the plan is to keep Bembry with the starting unit then this is still a buy-low spot. He has some hustle on defense in him (4 blocks and steals last game) and can score though he’ll never get up volume shooting attempts. What you’re looking for with Bembry is the minutes and the idea that he can contribute a number of different ways across the stat line. We will get to Drummond in a second, but as of right now the two Piston big men are combining for 42% of the team’s scoring and 53% of the rebounds. Basically, it’s these two guys and then everyone else just sort of existing around them. Blake has seen a dramatic uptick in scoring this season, going up to 27 points per game (23 per game last year) while also increasing his rebounds to nearly 11 boards per game (7.9 last year). He’s shooting a stunning 40% from beyond the arc and really just doing it all from a fantasy perspective. I love the idea of stacking he and Drummond as big money plays in cash on this slate against a Hawks’ team that really shouldn’t provide anything in the way of resistance on the defensive end. There’s a reason you are seeing a lot of T-Wolves on this list tonight, and it’s because they draw one of the best matchups around. Taj is coming off his best game of the year, a 16 point, 11 rebound performance in 37 minutes against the Lakers. He even went 3-5 from beyond the arc. (Quick sidenote: It’s completely nuts the Wolves lost that game, they shot 50% from three and only put up 110 points). Either way, Taj is right back in play on Friday considering his price tag and how shallow the power forward slot typically is on FanDuel. In terms of other power forwards you can consider, we are almost being dared to play Paul Millsap at these prices. He’s struggled to gain a fantasy footing this season and had even bigger issues staying on the court for the Nuggets. Even at high-20’s minutes he’s coming so very cheap these days. I’m also still bullish on Dario Saric. He’s not shooting as much as last season, but has also combined that with running bad from behind the arc. Only two things need to change here for the write up tonight. He’s coming off a 23 point, 19 rebound (so close) game. And now there have been six 20-20 games this season (Whiteside did it on that same night). The case for Drummond remains the same here against Atlanta. The Hawks have nothing in the way of interior (or any) defense and Drummond, as long as the game stays close-ish will push mid 30’s minutes. He’s a fantastic center value, arguably the number one place to pay up on the slate. Dwight Howard - I still don’t think we’ve seen a complete game from Dwight so far in a Wizards uniform. It’s either been the scoring there, or the rebounding but never both at the same time. This game against the Magic could turn that trend around. He’s still coming cheap for what he could put together. Karl-Anthony Towns - I wrote up every other Minny guy, so why didn’t KAT get the full treatment? He probably could have but there are just so many center options. He struggled shooting last game against the Lakers going 5-16 from the field and 1-6 from three. He should be in line for a double-double against the Kings. Nikola Jokic - He gets a fantastic matchup against the Nets who continue to allow big games to opposing big men. The problem, this season, with Jokic is the minutes just aren’t there enough for his price tier.